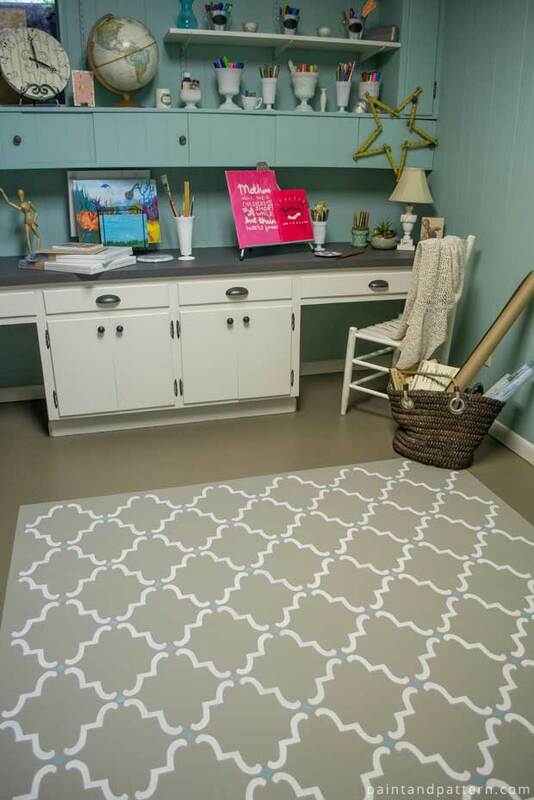 Does your home or office have an ugly floor? 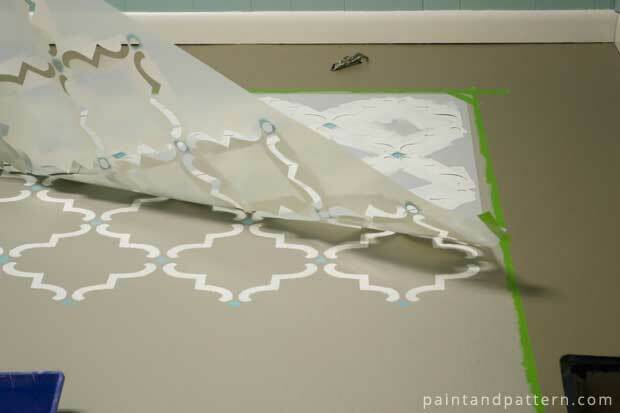 Make it pretty by stenciling a faux rug. There are endless design possibilities and color combinations that you can use. Let your imagination be your guide. 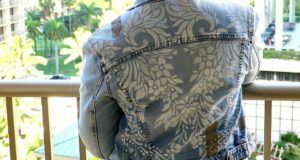 I’m Angie at Postcards from the Ridge and I am really excited to be a new contributor on the Paint + Pattern blog. I’m in the process of reclaiming a studio/craft room, that had become a dumping ground in our house. In this room, the original floor was a relic from the 60’s. I had already painted a coat of acrylic primer and 2 coats of floor paint on it. The solid color was way better than it had been, but still pretty basic. It needed some style added to it and a stencil was the perfect way to get it. 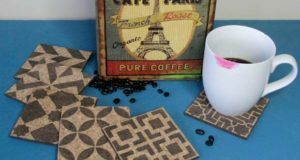 Gather up your supplies and block off an afternoon for this project. It takes a few hours, but it’s totally worth it. Chalk Paint® by Annie Sloan: French Linen, Pure White and Provence. 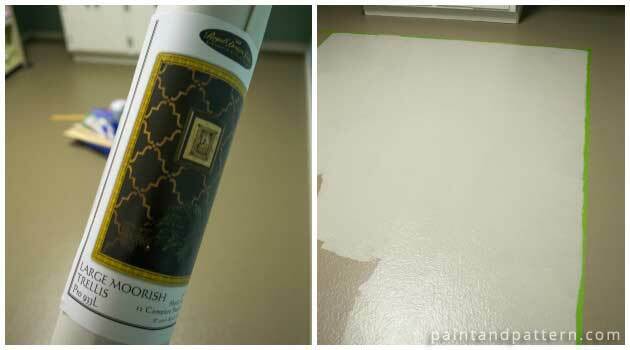 For this project, I used 3 different Annie Sloan colors and then topcoated with a clear coat. I wanted the look of short pile rugs that you see in catalogs, but in a neutral shade with a hint of color. 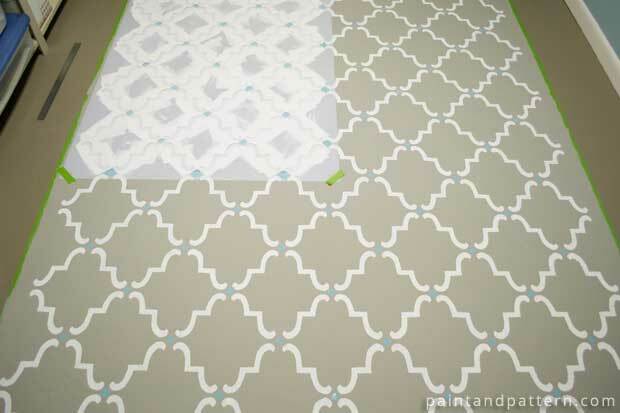 I used the Large Moorish Trellis Stencil that gives the same look as the rugs I was trying to copy.. The large pro size made it so easy to get the look I wanted! I began by measuring the space and taped off the area where I wanted the rug. I based the size of the rug on the dimensions of the stencil. I recommend measuring at least twice the size of your stencil. After taping off the area, I applied two coats of French Linen for the base coat. Once the base coat was dry, I secured the stencil in place with tape and began stenciling from one corner. 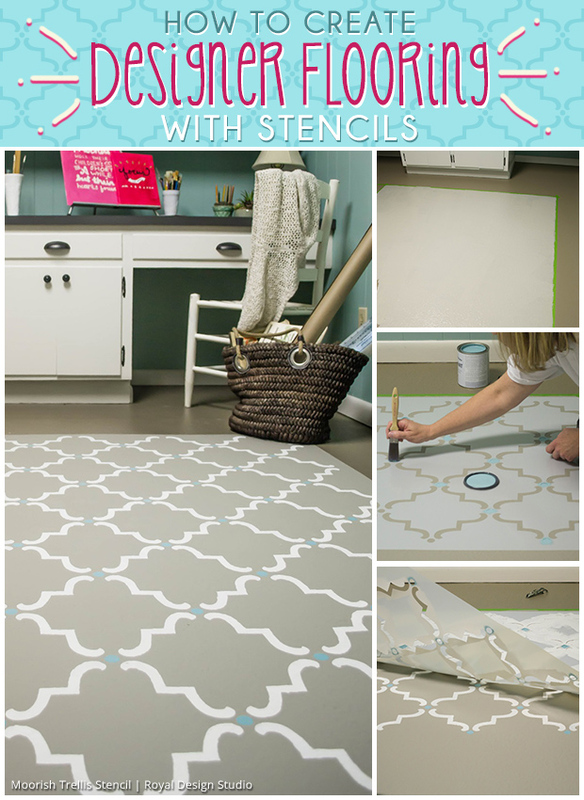 I first stenciled the accent dots in Provence Chalk Paint® using a stencil brush. 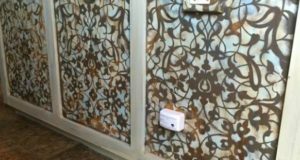 Then, using a foam roller I stenciled the rest of the pattern. I removed the stencil, placed it on the adjacent area and repeated the whole process 3 more times to complete my faux rug. Here’s the last section being painted. I’d be lying if I said I wasn’t very glad that I was almost done. After 2 coats of clear varnish for protection, the rug is finished! And it looks just as good, better actually, than anything I’ve seen in a catalog. It’s completely washable, and you can paint it any color you want! 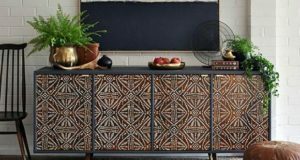 It really brings fashion to this formerly frumpy space, don’t you think? Now it’s time to get creative with some other projects in my new stylish studio/craft space! If you like this project, I invite you to drop by Postcards from the Ridge to see lots of other paint projects and fix ups to our 1960’s home. There’s always some type of project going on here! 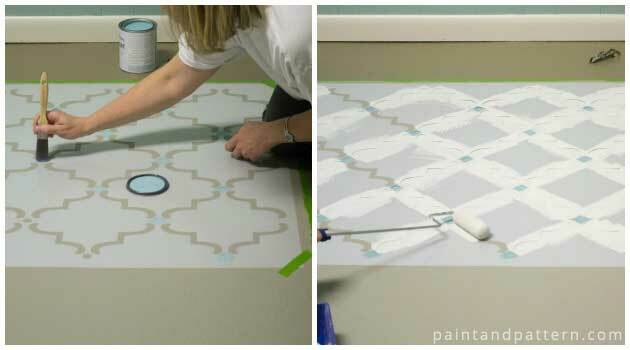 Love this idea of painting directly on the floor in a rug shape! It ties your whole room together! Love this! 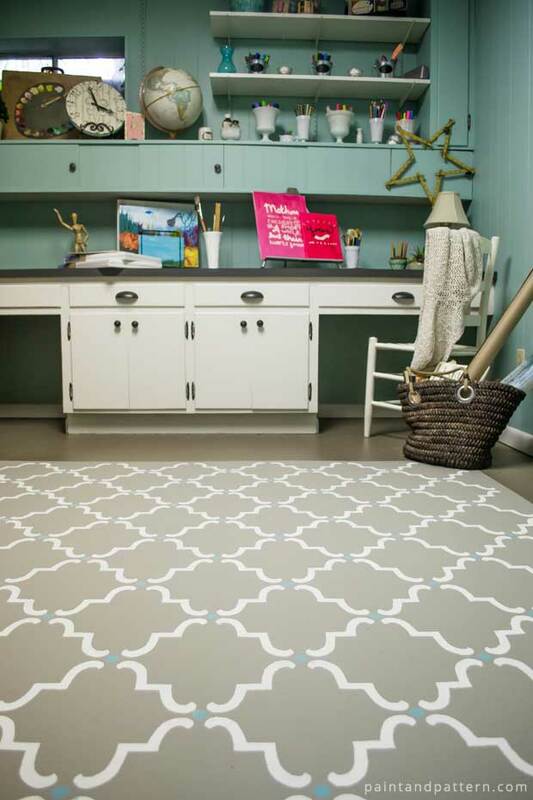 What color did you paint the floor with…outside the rug area? And did you put the clear varnish on the rug area only…or the entire floor? 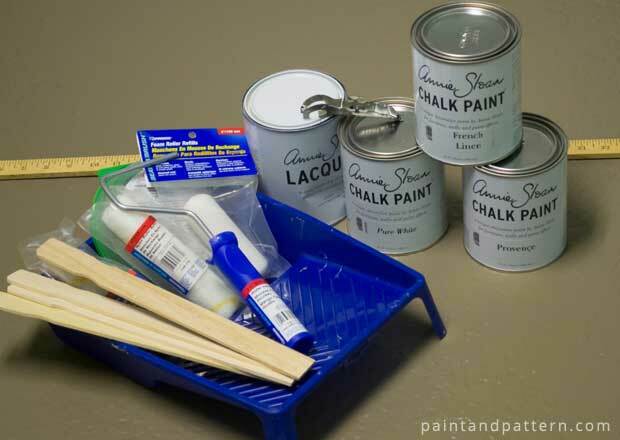 Is there any particular reason you used chalk paint or will any kind of paint work, since you’re using the acrylic top coat? Howdy! This post couldn’t be written any better!Reading through this post reminds me of my previous room mate!He always kept chatting about this. I will forward thisarticle to him. Fairly certain he will have a good read.Thank you for sharing!